After organisers confirmed on Thursday morning that the event will take place from 13h00 on Sunday, 26 June, Burn is set to be joined on the start line of the 26km clash from La Mercy Beach to Marine Surf Lifesaving Club by fellow elite racers Nicole Russell, Hayley Nixon, Jenna Ward and Kyeta Purchase. The five’s pedigree speaks for itself with all having bagged race crowns and podium finishes on both the surfski and marathon racing circuit throughout the past eighteen months. 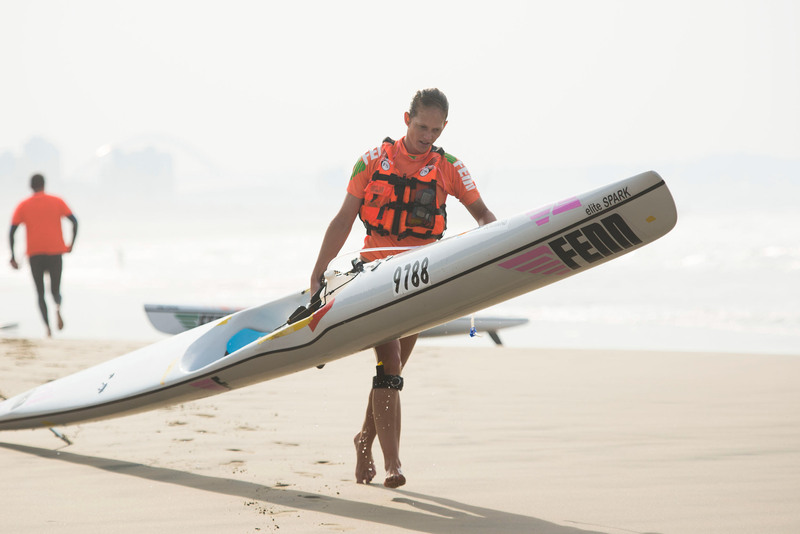 For Amanzimtoti’s Burn though, this weekend’s clash represents a different challenge to many of her previous paddling tasks, with the veteran surfski competitor expecting to have the best seat in the house from which to view the title race unfold rather than competing for victory herself. “My focus has shifted a little and I was looking forward to giving the recent Ironman 70.3 in Durban a bit of a go so I haven’t really paddled competitively since November,” explains Burn. “A silly knee injury I picked up a couple of months ago sadly ruled me out of Ironman though, so when I couldn’t ride I thought I might as well paddle and that’s when I decided to do the Durban Downwind. “Unfortunately I then picked up a really rare virus and was really ‘man down’ for the last little while, so I really am not in great shape at all at the moment,” the highly decorated surfski competitor chuckles somewhat bewilderedly. While her recent health troubles, together with forecasts of little wind to help push her along on race day, see the 30 year-old Fenn Kayaks athlete heading into Sunday’s race with a conservative personal outlook. Burn is however confident a storm of action is set to unfold in front of her as the in-form Russell, Ward and Purchase (all Fenn Kayaks) as well as Nixon (Carbonology Sport) give it their all. 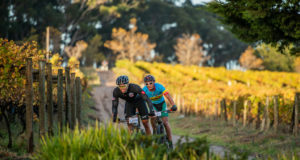 “Hayley (Nixon) is very powerful and will be super strong, especially if its flat while Nikki (Russell) is probably the most consistent of the four across all conditions and her win at the SA Marathon Champs recently showed she has what it takes in flat condition too. “Jenna (Ward) and Kyeta (Purchase) are obviously incredible paddlers as well and I’m sure they’ll be right up there this weekend but I think Hayley and Nikki go into the race as slight favourites. 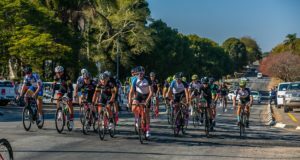 While the majority of the focus will be on the singles racing, Durban’s affinity for doubles racing is likely to draw a healthy S2 field as well, an event that will run concurrently to the S1 clash. Through the generous support of title sponsors FNB, the first 100 online entrants will receive a complimentary moisture management race garment while R40 000 will be up for grabs across all age and gender categories and all participants stand the chance of claiming one of the various sought-after Thule lucky draws prizes at the event’s prize giving. Online entries, submitted via www.roag.co.za, close at midday on Friday, 24 June with registration taking place at Marine SLC from 17h00-19h00 on the same day while the 2016 FNB Durban Downwind takes place Sunday, 26 June. More information can be found at www.durbandownwind.co.za.